Outdoor Learning is developed from the Scandinavian education system and is about children and young people building self esteem and independence through child-led learning, exploring and experiencing the natural world. 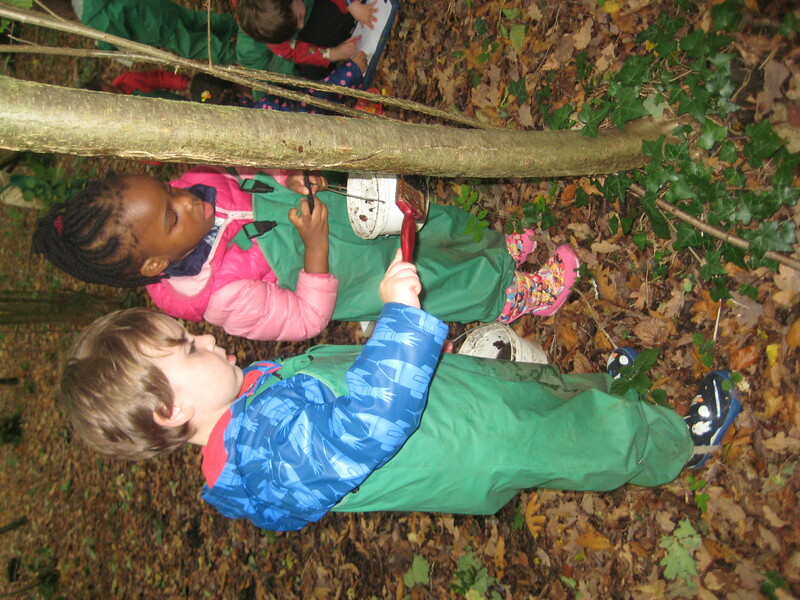 The ethos of Outdoor Learning allows learners time and space to develop skills, interests and understanding through practical, hands-on experiences. Outdoor Learning supports the holistic development of the child and supports many areas of the Early Years Foundation Stage. 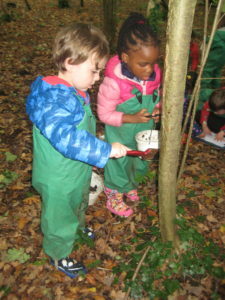 Jack and Jill Pre-school have two qualified Forest School Leaders who have been trained in outdoor paediatric first aid. 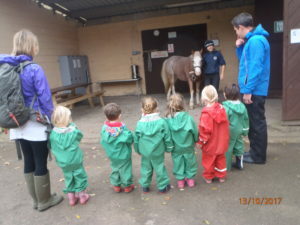 This allows us to give the children attending The Ark a unique educational experience throughout the year, using the outdoor environment as a classroom with the freedom to explore. 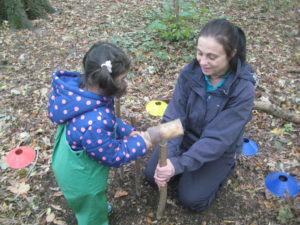 Children along with Pre-school staff will spend sessions in a local woodland area. 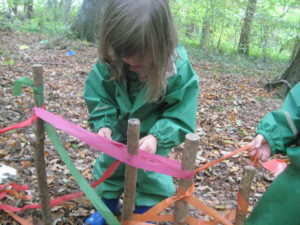 The earlier sessions all concentrate on safety; establishing boundaries and routines and using their senses to explore. Through Outdoor Learning sessions children are able to play in the woods, climb trees, wade through mud, build dens, hunt for minibeasts, make collages from natural materials, weave long grass and twigs and much more whilst having fun and learning through the outdoors. The site is fully risk assessed and a safety sweep is carried out before each session commences. Outdoor Learning Leaders are all qualified in paediatric first aid for working outdoors and we carry first aid and emergency equipment at every session.